In September 2016 Monroe was an artist-in-residence at Ses Dotze Naus, in Ibiza, Spain. 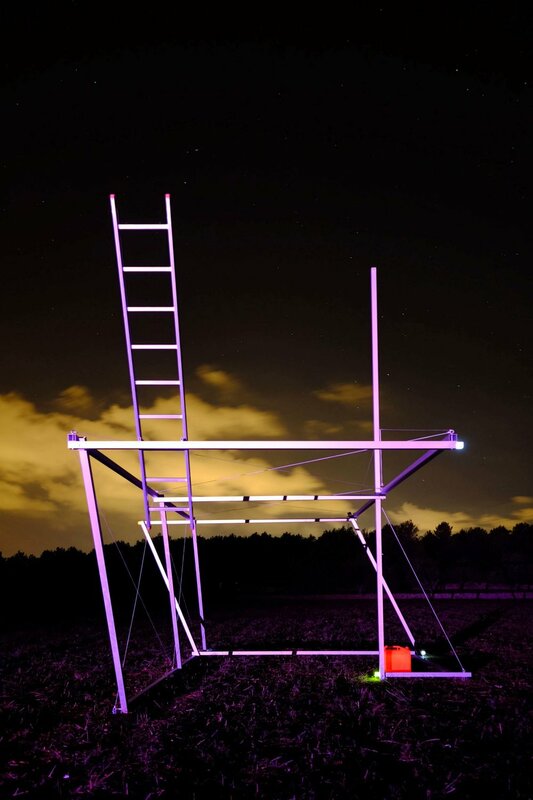 Monroe built a site-specific geometric 'Pavilion for the Restless Industrialist' using the forces of tension and compression, a ladder, navigation lights, and a gasoline canister. Like the island itself, it is caught between the promise of escape and the need to build and develop. Part yacht, part observatory, the pavilion is 7 meters long by 3.4 wide by 6.4 meters high and will remain at the Ses Dotze Naus property for future use.